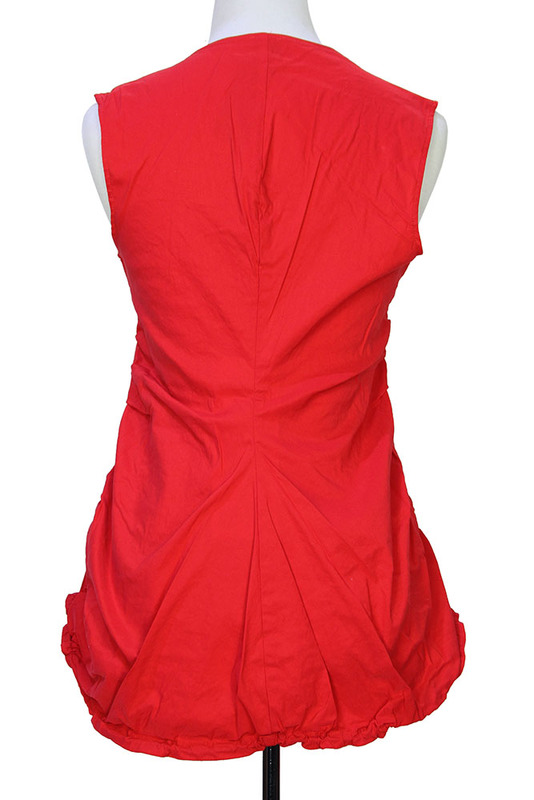 Rundholz Black Label stretch fabric, sleeveless top in red colour. Round neck with finished trim, as are the armholes. Drawstring at the hem with locking pulls at each side. The rear panel is ruched where it meets the front panel on both side. Curved hem and slightly longer at the rear.